On March 13th, 2017, SWEEP conducted a training to educate and encourage the building of Zero Energy Ready Homes (ZERH). Local, builders, raters, architects, building officials and community leaders attended the training. 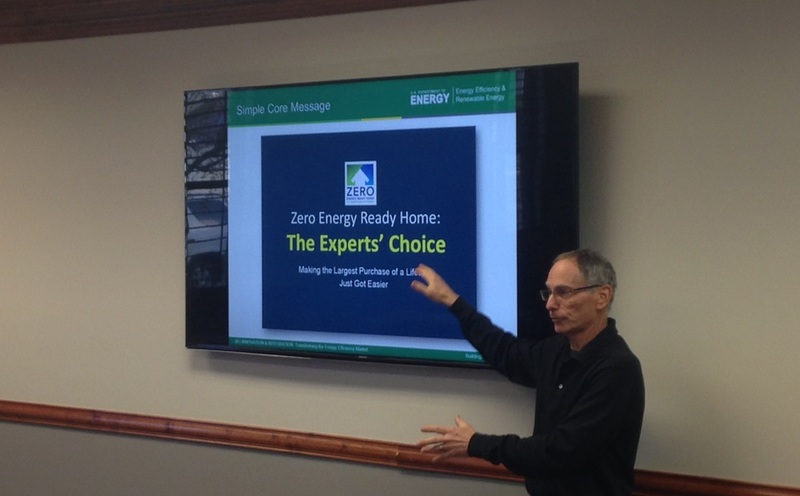 Sam Rashkin with the Department of Energy instructed the group on “Zero Energy Ready Homes, the Experts Choice”. Garbett Homes and Red Fish Builders were the “Voice-of-the-Builder”, providing stories of, how their companies evolved, challenges, key lessons learned and recommendations into becoming ZERH builders. The Home Builders Association of Utah provided the training space, while SWEEP and Utah Clean Energy sponsored the training. Below you will find links to workshop materials and all available presentations. For additional information about the training, please contact Nancy Kellogg, nkellogg@swenergy.org.